Changing Weather or Changing Seasons: Here's Why It's All Good! 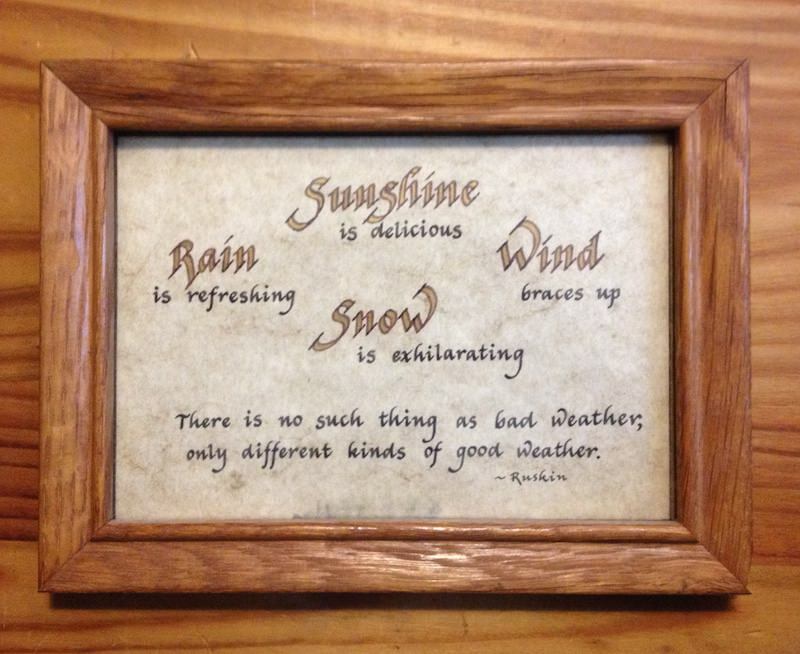 Changing Weather or Changing Seasons: Here’s Why It’s All Good! Changing seasons or changing weather — it’s all good! Autumn is my favorite time of year, so even though the first day of the season came and passed without my realizing it, you can bet that I spent time outdoors. It must have been a subconscious knowing, kind of like birds flying south. Yes, I was outside in my backyard cutting up the limbs from a fallen hardwood, stacking fallen brush, breathing in the fresh air, and loving every moment of it. Even now as I write this post, it is raining outside. My window is open, and I hear the drumming of the water on the leaves of the trees. It is a beautiful, soothing sound. In another month, the sound of rain will be changed because the leaves will have turned and dropped. The music may sound different, but the beauty of nature remains. Autumn is the time of year when my tractor gets its biggest workout. 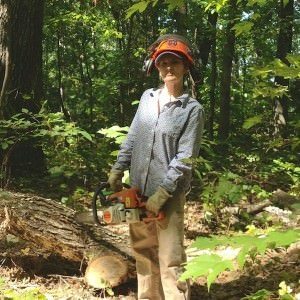 It’s the time when I drive through the wooded trails picking up fallen branches in an effort to “clean my forest.” I wrote about this last year to explain the 10-day bonfire I tended. I’m a bit of a fanatic, but it’s not my fault as last year’s article explains. This felled hardwood makes great firewood! Don’t you love my get up? Autumn is also the time of year when my youngest son Ryan has his annual Halloween party, and no spooky party is complete without a hayride through the haunted forest. The haunts have dwindled now that my older sons refuse to dress up and hide behind the trees. I don’t think that’s so much of a problem for Ryan now that he’s in middle school. It seems that going on a hayride with girls isn’t about the haunt at all. I’m not too old to remember that important fact! I did an informal survey on my Facebook page not too long ago asking folks what their favorite season was. It seems that most of them responded with Fall. The majority of respondents were, like me, creatives of different types — mostly writers — which makes me wonder what it is about this season that inspires creativity. When I breath the autumn air, its crispness invigorates my mind and spirit. I feel a churning within my ribcage, like a bird fluttering to escape. Words rise in my throat, unable to escape until I place my fingers on the keyboard and let them go. Inspiration floats in the air around me like an invisible smokescreen; when it clears winter will already be here, and I’ll begin dreaming of Spring.